So you’re having trouble with your plant. Totally normal, it happens to all of us. But when you’re trying to figure out why your plant is being so weird, where do you start? We’re always here to help, but being a true plant person means learning how to ask the right questions and learning to read your plants. With a few simple things in mind, you can quickly learn how to infer what a plant needs, even if you’ve never seen the plant before. When someone comes to us with plant questions, there are a few things we ask about off the bat: lighting, watering, and environment. How much light is your plant getting? How much are you watering it? How warm/humid is it where the plant in and what kind of pot is it in/how long has it been in that pot? Let’s look a little more closely at these questions. All plants need at least some natural light. Plants will often change colors in some way if they’re getting too much or too little light. One thing to keep in mind, however, is it’s not always straightforward, so let’s look closely at the signs and what they could mean. Is your plant getting lots of direct sun and turning brown or crispy? This is likely too much light or sun burn. 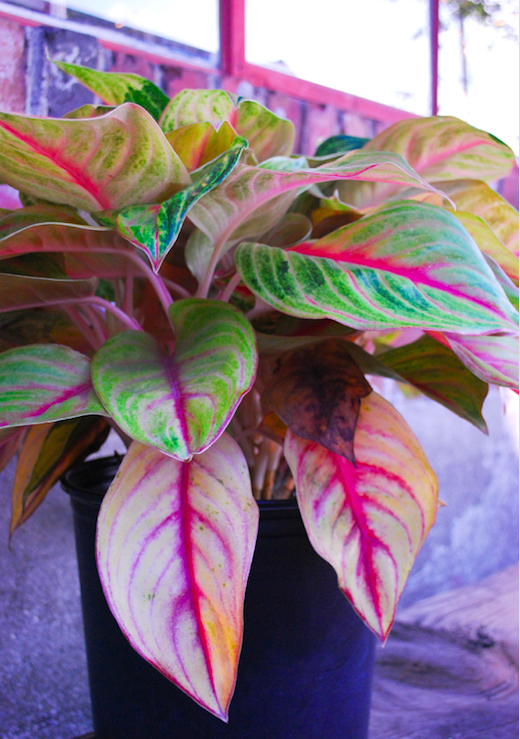 Mostly common houseplants are tropical plants and will not enjoy direct sun for extended periods of time. Plants that have delicate or papery leaves, or plump and tender leaves rarely like direct sun. Think ferns or string of pearls. While these plants like some light, they are quite delicate, and too much sun will burn them. Remedying too much light is usually pretty simple. Move your plant away from or out of a window, or put up a sheer curtain or closely the blinds partially. Trim off any dead or dying foliage and (hopefully) watch your plant bounce back. On the flip side of things, is your plant in low light (you have to turn a light on for most of the day or to read a book; the plant doesn’t cast even a soft shadow) and the leaves are turning yellow or squishy? This is likely a case of too low of light, which often goes hand in hand with overwatering. Gross. It’s important to note that most plants don’t like being moved often, so we don’t recommend putting your plant outside for part of the day, or moving it to a brighter spot for a few hours a day. Let your plant get accustomed to it’s environment and it’s more likely to adapt and survive than if it’s moved often. Watering can be a delicate situation, especially as seasons change. We recommend thinking of water in relation to how much light the plant is getting. Is it the middle of summer (long days and higher temps)? Your plant is going to need more water. If you’re thirstier, your plant is probably thirstier. Or is it the middle of winter (short days, cloudier skies, and cooler temps)? Your plant is going to need less water because it’s likely dormant (using less energy therefore needing less food) and is losing less water via evaporation. So now let’s look at some water-related troubleshooting. Is your plant droopy, yellowing, dropping soggy leaves? Is the soil wet or soggy? Your plant is getting too much water. Move it to a nice bright spot so the sunlight can help it dry out and don’t water it until it really needs it. In severe cases, you can repot the plant in new, dry soil. Sometimes an overwatered plant can be a goner, but your best bet is to put it in bright light and let the soil dry out. Alternatively, are the edges of your plant’s leaves dry and brown, or dropping dry leaves? Your plant is likely not getting enough water. Check to make sure the soil is dry (we bet it’s pretty dry) and give it a good soak. Sometimes dry plants are getting too much light, or need to be repotted, but we’ll get to that in a sec. Sometimes plants will act strange even though it seems like nothing has changed. It’s spring, nice and warm, you haven’t moved your plant for two years, but new growth is dying or is small, the plant is always drooping, or the soil is always dry. It’s probably time to repot! When plants have been in the same pot for a long time, their roots take up more space in the pot than the soil and they’re no longer able to retain moisture. Small pots can also stunt a plant, like bonsai. A limited root system can’t support a large plant, so if you’d like your plant to continue growing normally, put it in a bigger pot! We recommend only increasing the pot size by no more than two inches in diameter for smallish plants, and a few inches for bigger plants. Never buy a big pot for a plant to “grow into” -- it’s an easy way to give your plant root rot! Plants can also act inexplicably strange if they’re potted in a pot with no drainage hole. We never recommend pots without a drainage hole. There are too many variables. The surface of the soil may be dry but the bottom of the soil where you can’t see may still be wet. This makes for uneven watering, and it’s confusing and tricky for both you and your plant. If you have a plant in a pot without drainage and it’s dropping leaves, yellowing, or getting soggy regardless of good light and regular watering, drainage might be the issue. 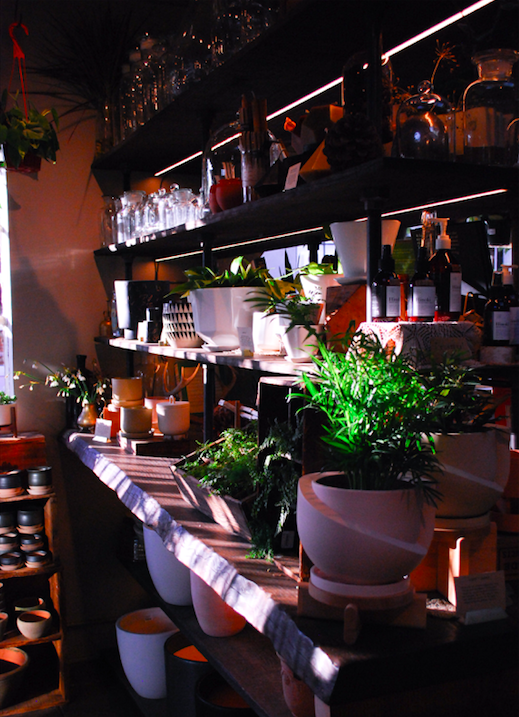 Many houseplants also enjoy high humidity. Dry air can cause leaves to brown and crispy, much like sunburn. If the leaves on your plants are turning dry even though they’re out of direct sun, humidity may be the issue. As silly as it is, a humidifier will solve this problem. Misting can also help, but misting only increases the humidity while you’re spray the plant, not 24/7. Something to keep in mind. One of the tell tale signs of pests is misshapen new growth. If your plant is acting odd despite good light and watering, and the new growth doesn’t match the old growth, inspect your plant carefully for pests. Look for fuzzy white spots along stems and where the stem and leaf meet, small raised brown dots on the leaves, raised or slightly imbedded spots like scars (small and skinny like scratches but on new growth), and tiny webs on the undersides of leaves. These are mealy bugs, scale, thrips, and spider mites. Ew, ew, and ew. First off, get the infected plant away from your other plants! Pests can move from plant to plant, and then you’ve got a real situation on your hands. The best way to get rid of pests is with a systemic pesticide. We like the Bayer 3-in-1 Insect, Disease, and Mite Control pellets, but the spray version will work too. You can either spray your plant weekly, or mix a bit of the liquid into water and water your plant with it. Sometimes plants are too far gone for the pesticide to save it, but with a close eye you can catch it early and eradicate pests before they destroy your plant. While this is a pretty rough guideline to listening to your plants, we think it’s a good place to start. It can be nice to keep in mind that tending plants is a learning process. Every time you struggle with a plant, you’ll be that much better at plant tending next time. Best of luck, and always ask us if you have any questions!